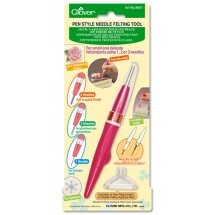 Clover Felting Needles	There are 9 products. 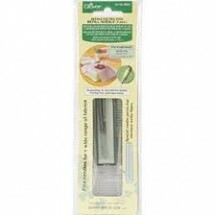 1 * Clover Delicate Felting Tool (8901). For small and delicate felt projects using 1, 2 or 3 needles. 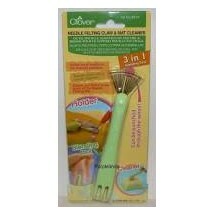 1 * Clover Felting Mat Cleaner (8919). Cleans out fibres at the base of the needle felting mat. 1 * Clover Felting Mat Large. The manufacture recommends that the mat is to be used with the tool. The brush-like mat enables smooth punching with little resistance, and allows the fibres of the applique to become well meshed with the basic fabric. 1 * Clover Felting Mat Small. The manufacture recommends that the mat is to be used with the tool. The brush-like mat enables smooth punching with little resistance, and allows the fibres of the applique to become well meshed with the basic fabric. 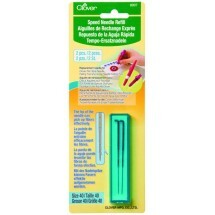 1 * Clover Felting Speed Tool Refill Fine (8907) To be used with 8902 + 8901. Replacement speed needles. 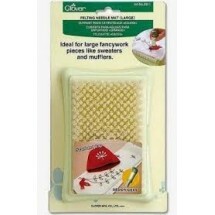 Ideal for making indentations or designs on hardened wool, or outlining wool embroidery designs. Concentrated barbs at the tip allow for efficient wool hardening. 2 needles per pack. 1 * Clover Felting Tool. 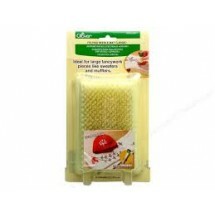 (8900) Clover Felting Needle tool consists of five barbed needles that catch the wool fibres and push them in to the base fabric to create your design. No thread or glue needed! 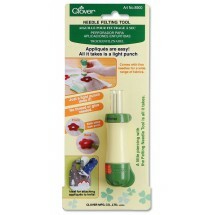 1 * Clover Felting Tool Fine weight Refil Fine. (8905). To replace needles from the tool. 5 pieces per pack. 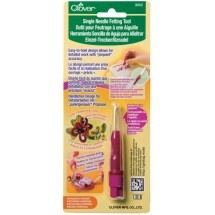 1 * Clover Felting Tool Refil Heavy. To replace needles from the tool. Tool comes with fine needles therefore replace with these needles if a heavy needle is required. 5 Pack. 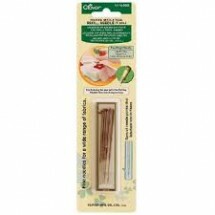 1 * Clover Single Felting Needle Tool (Extra Fine). Code (8902). Easy to hold hexagon grip means less strain on lengthy and detailed work. Centred needle placement allows an improved aim for finer tasks. Replacement speed needles available. 1 piece per pack.